Courtesy of Smithsonian Museum store. 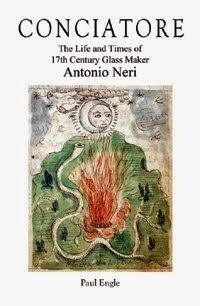 To Neri’s mind, the metals used as pigments must undergo a process of “opening.” Once this was done, each metal’s characteristic color or “tincture” was free to permeate the glass, provided it was free of impurities. Today we might say that by reducing each metal into an extremely fine powder, the individual atoms more easily disperse in the glass. Neri’s “opening” process usually involved dissolving a pure metal in an acid and then slowly evaporating the liquid, resulting in a fine powder. Most color arises because, once in the glass, the metal atoms block some parts of the spectrum, but not others. The result is that each metal gives rise to its own hue and only because it is dispersed in the oxygen rich environment of the glass matrix. The striking point here is how the alchemist’s model was a perfectly adequate description for the times, in the same way that the atomic model works for us. Unfortunately, there was less awareness of the negative health consequences in some of these preparations. The evaporation of powerful acids could (and can) certainly cause acute respiratory and tissue irritation. However there were far more insidious dangers lurking in Neri’s chalcedony recipes. In his first prescription, he dissolves silver, mercury, cobalt, manganese, copper and iron. Some of these have been prepared with sulfur which also ends up in the mix. He evaporates it to a powder and adds it to well seasoned, good quality clear glass along with pulverized chimney soot. 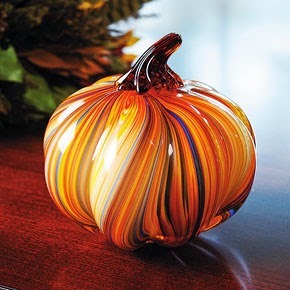 He notes “When you stir [the molten glass] thoroughly it gives off a definite blue smoke.” Specifically hazardous in this recipe is the formation of mercury fumes, which are extremely toxic to breathe. He advises that in the furnace the glass appears “as red as fire,” but that “master craftsman always pinches off the glass for the job with nippers, and reheats it, in order to make waves, undulations and interplays of the most beautiful colors.” The reheating process is known to modern glassmakers as “striking,” a maneuver that brings out surprising color in some glass formulations. He suggests that this chalcedony can be used to form drinking glasses to more shapely cups, saltshakers, flower vases and similar vessels. In his second and more sophisticated preparation Neri dissolves the materials in groups, in six separate flasks, only then combining them. He also adds new materials: lead, zinc, “blue painters enamel,” antimony and red varnish. The final recipe for chalcedony introduces new purification procedures and increases the number of separate flasks to nine. Additional ingredients include metal sulfides, ultramarine, tin, arsenic (read: death's calling card) and crimson paint. Manganese and cobalt were unknown as distinct metals, but were used in their oxide forms, mined as minerals. Neri 1612, p. 48. The prince of orange was Philip William.